What’s not to love about this outdoor living project? Pool and backyard landscaping is at its most magnificent when it includes unique water features, lighting, specialty materials and design features. 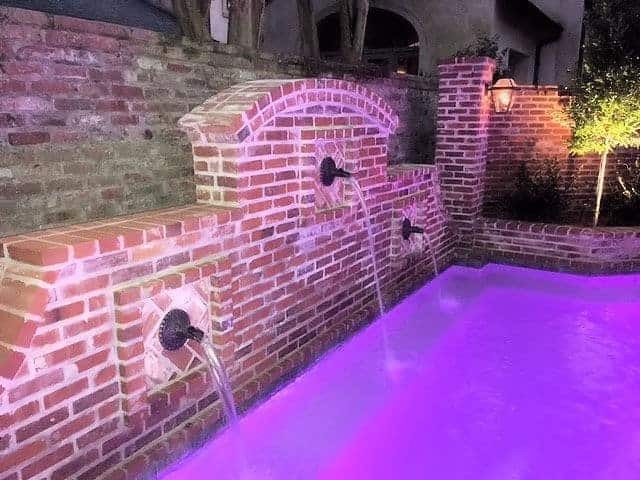 This private residence in Baton Rouge, LA makes great use of them all. 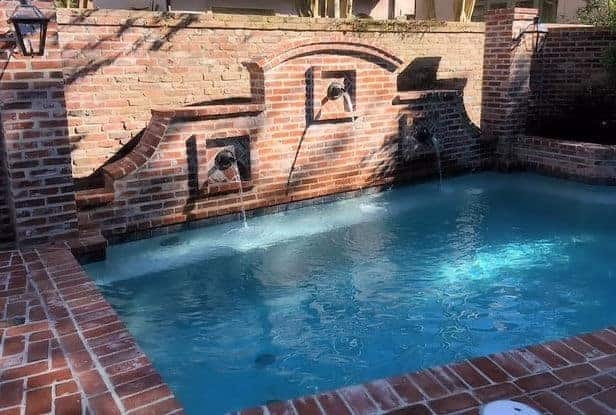 The well designed pool and spa project features an array of beautifully laid brickwork that includes a decorative brick back wall that complements the brick pavers used throughout the design. The site and sounds of falling water turn this swimming pool into a beautiful oasis. 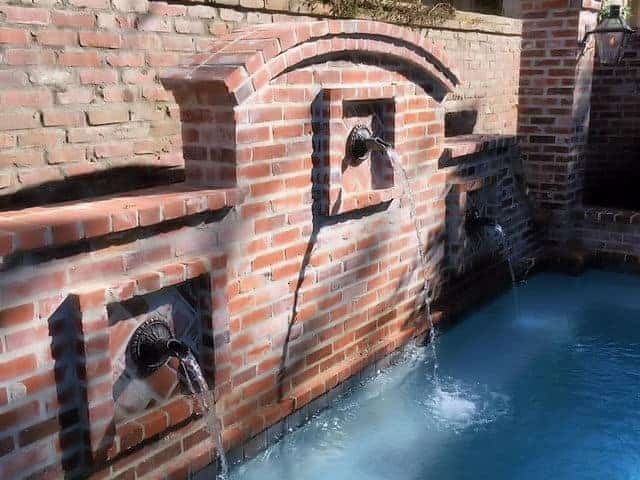 A trio of Fountains Unique’s Roman – Mediterranean architecture-inspired Acanthus scupper water features pop as a centerpiece against the stately stonework. 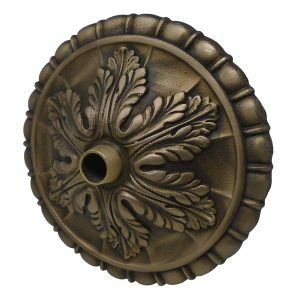 The Acanthus’ back plate is ribbed with a leaf theme that extends from the scupper serving as bold accent pieces. 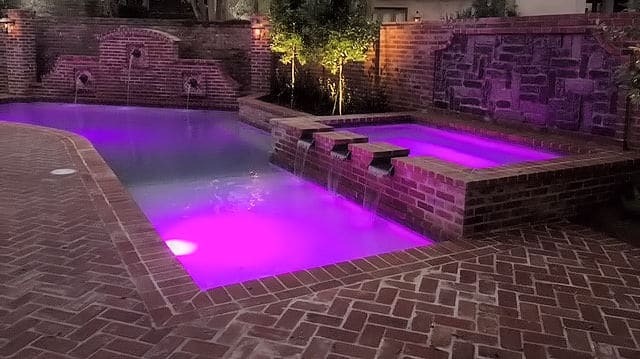 With specialty lighting, nighttime brings out the rich colors of nature in this stunning pool design.